Yesterday I had a sweet treat from my hubby. He called me before he came home and said, go put on something cute, Id like to take your picture for you today!!! I was like, whaaaaaat????? I was already wearing this, so I didnt have to change! We drove around town and found a nice little nature trail. Always fun to still discover spots in a town you've lived in all your life. I also experimented with my hair a bit yesterday. I saw a fun tutorial online somewhere the other day about making beach waves by twisting your hair up in knots after you get out of the shower and just letting it air dry. It worked! I sprayed just a little bit of hairspray on the curls before I unpinned them and it lasted the rest of the day. Such an easy thing to do, if you have several hours before you are going out. My bangs are getting to the point where I either need to cut them again or let them grow out. Im leaning towards growing them out again. I love both styles so much, its always hard to decide. 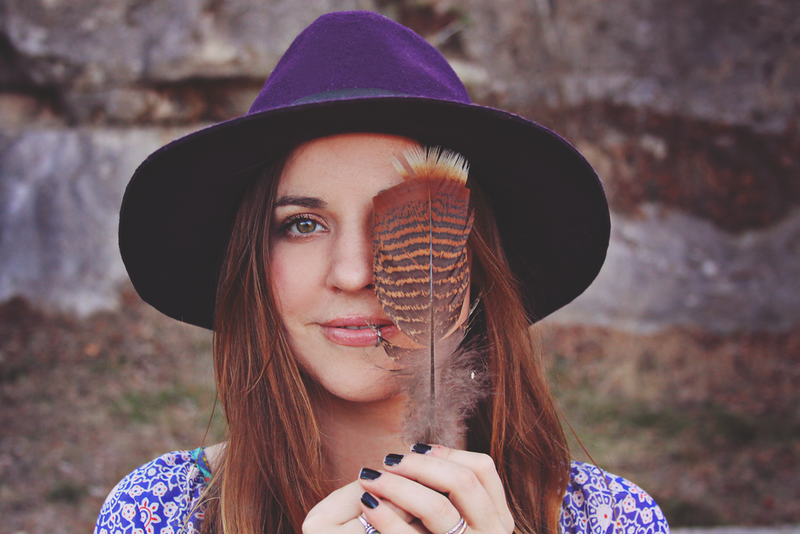 Oh, and the single feather earring was made for my shop, but I decided to keep it... Sorry! But I love it so, Ill make some more. Same for the feather tassel belt. The necklace is in the shop though. My boy is off work today! And we might even do something as crazy as get out of the house, gasp! Not sure yet.